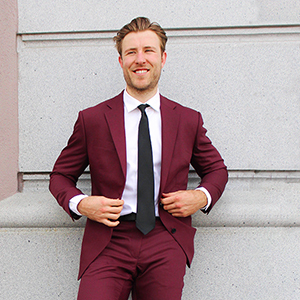 Personal Stylist by day and Professional Hockey Player by night, I became interested in fashion watching my idols show up to the rink every day in style and confidence. I wanted that feeling. I began to quickly understand the importance of a man’s wardrobe and how it can affect their mood, health, and overall confidence. I joined the Eph Apparel team to help others champion themselves, through fashion forward statements. My clients describe my style as modest yet smart, savvy, and trendy. That look when the customer and I know we crushed the look!